Why Does π Occur All Over Math? for example, just about every interesting plain curve involves π. See: Visual Dictionary of Special Plane Curves. but it happens in probability too. For example: Buffon's needle. the Wikipedia article indicates that Buffon's needle is part of a problem in geometric probability. So, perhaps that ties to the circle, therefore π. Circle itself can be considered as a result of circular function. i.e. the trace of a constant length with one end fixed and the other end moves at a constant speed. So, we can consider that the relation of Buffon's Needle is tied to circular function. 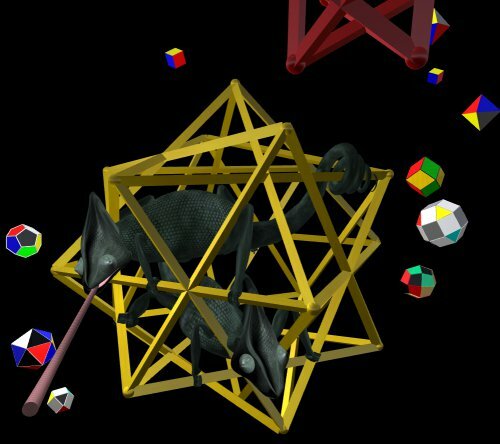 A zonohedron by Russell Towle. but my plate is quite full already…. These are made by Bathsheba. You can buy it on her site, at: www.bathsheba.com. Note: Bathsheba has also been creative in Second Life. Flying Ammonite in Second Life by Bathsheba. She has also made a Seaslug Ride. To see more pics of her Second Life creation and location to buy, see: Seaslug Ride • Flying Ammonite. 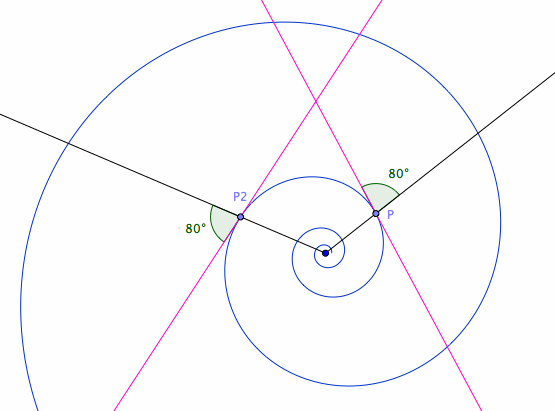 A example of equiangular spiral with angle 80°. 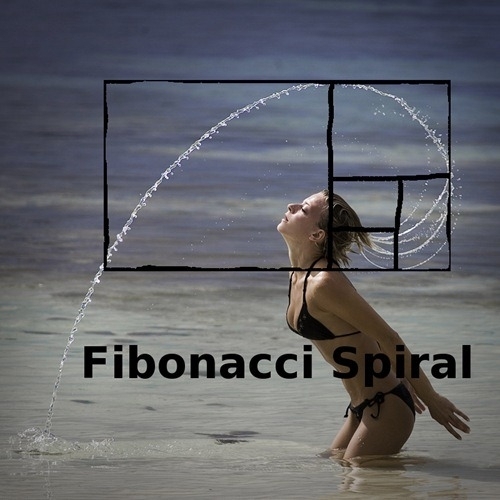 When a attractive girl flips her hair, the water stream formed is a Fibonacci spiral. 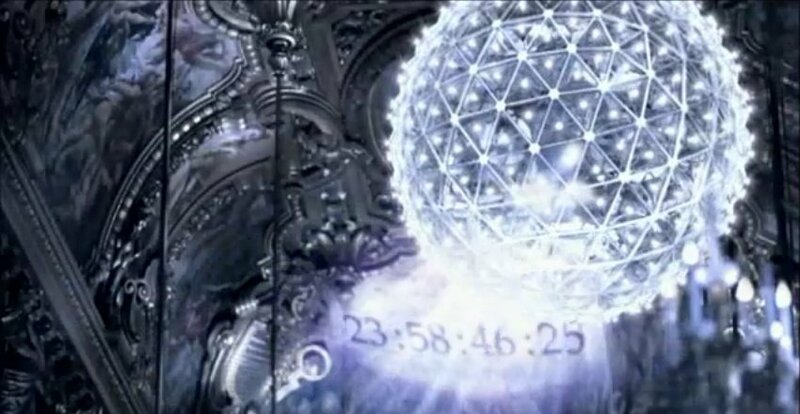 This appeared in a perfume video ad: Midnight Poison; Space Dementia; Eva Green. Second Life: Math Lorenz Attractor screenshots. Thanks to Stanley Rabinowitz of mathpropress.com for donation, for the Visual Dictionary of Special Plane Curves project. Note that you can purchase the entire project as downloadable file for easy reading on your computer or iPad. See: Buy A Visual Dictionary of Special Plane Curves. I still don't have Mathematica files updated yet, but you'll get free update when available. His blog is full of beautiful things. Highly recommended. Subscribe. 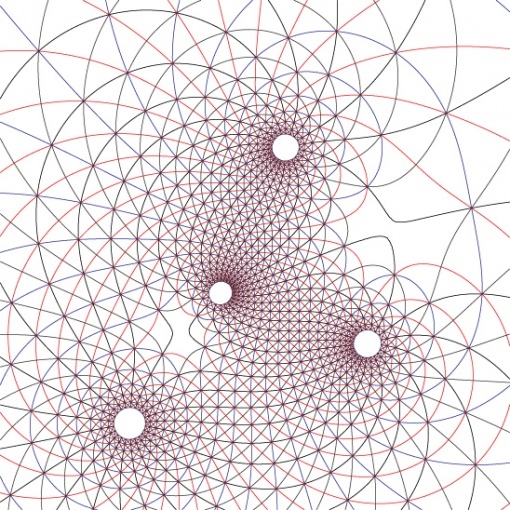 Updated my Mathematica package for plotting Geometric Transformation and Complex Function. 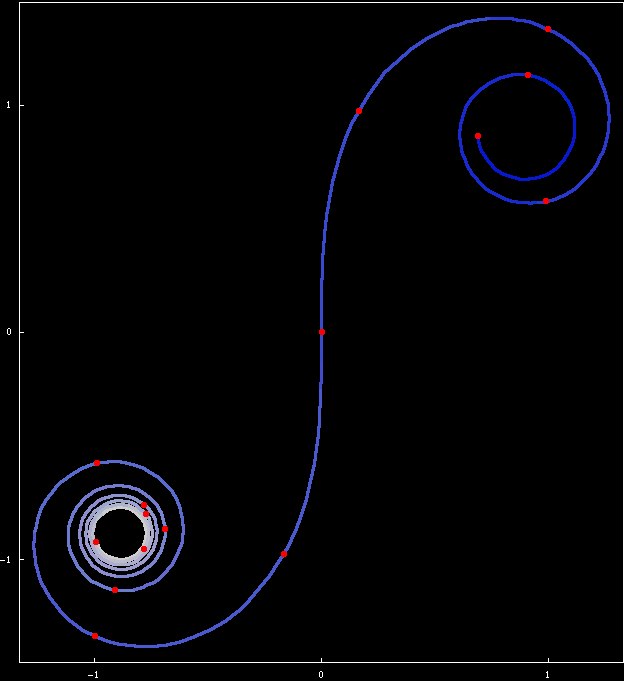 Update: interactive GeoGebra applet showing Product of Rotations, at Product of Rotations. Fixed the java certificate problem. Now it works in all browsers: 60+ GeoGebra Files for Plane Curves. 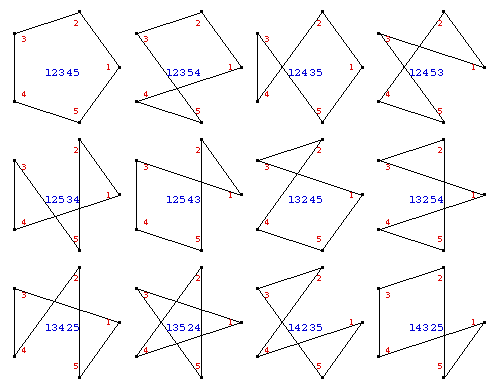 60+ interactive geometry GeoGebra apps for Plane Curves at: Plane Curves: GeoGebra Files Index. Usually i don't repeat a article in more than one place, even if it's related to both. Xah's edu corner: How Long is One Year? added to: Tools to Display Math on Web. below is some very old articles i wrote, about the book and other math books. 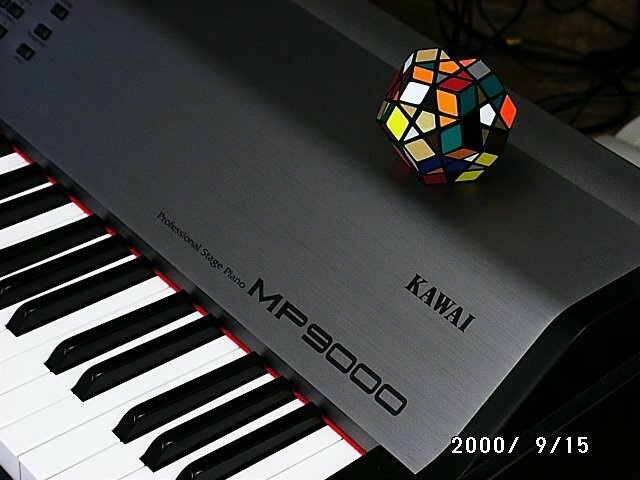 I worked intensively on tilings for about a year in around ~1997. The most mathematical is: The Discontinuous Groups of Rotation and Translation in the Plane, which are linked a lot. It is basically my own learning notes. 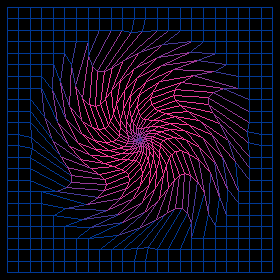 All images are generated by Mathematica, a package i wrote: Plane Tiling Mathematica Package. I'll be updating it from Mathematica v3 to v7 in next few days. At the time, i wanted to create a most versatile software that generates any type of tilings, decorative patterns, without human intervention. A sort of AI in the spirit of Douglas Hofstadter. (See: Gödel, Escher, Bach Buy at amazon) Of course, i didn't get that far. 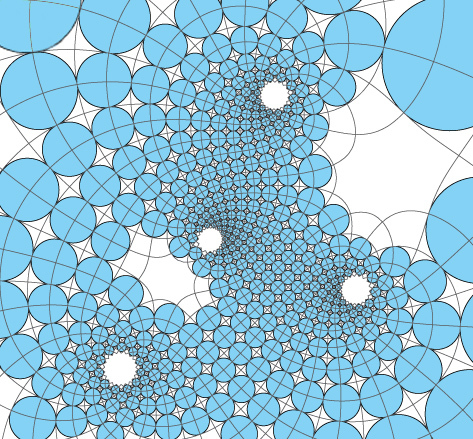 For gallery, see: Geometric Tilings and Patterns Image Gallery. All these pages are written in late 1990s. Much update needs to be done, on the html and the writing too. His home page robertdickau.com has many more. You can also get many of his interactive Mathematica files at demonstrations.wolfram.com. Many of Robert's work are about space filling curves. It is one of the math i learned in early 1990s that had a big effect on me. 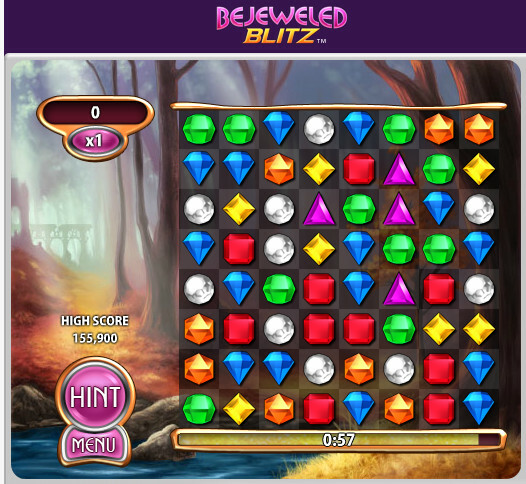 In short, it shows that there are same number of points of one side of a square to the square itself. At the time, it was a shock to mathematicians. 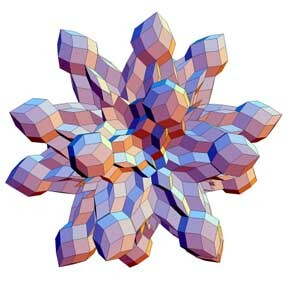 See: Space-filling curve, and Xah's Top 10 Math Wonders.